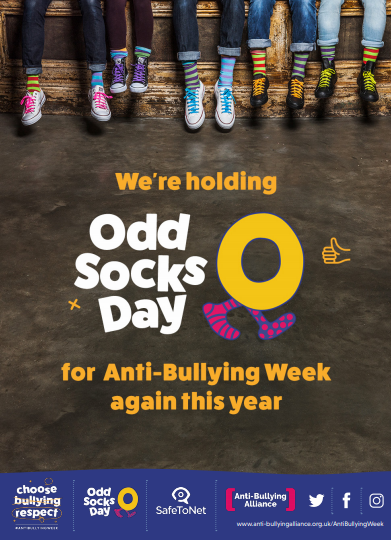 Anti-Bullying Week begins with Odd Socks Day! 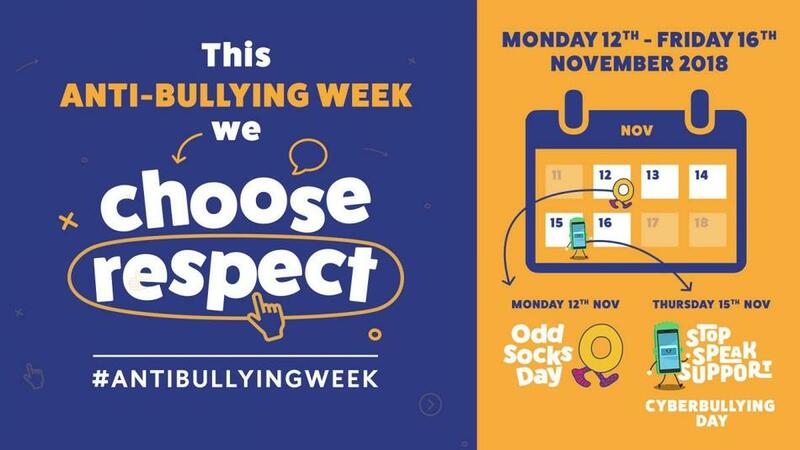 We will be wearing odd socks to remind us that we are unique - being different is good, it's what makes us who we are. "Did you know that 40% of children would hide an aspect of what makes them unique because they were worried about bullying? 40% of children experience bullying each year. I’m working with the Anti-Bullying Alliance this year to help shine a light on bullying in a fun way and we really need your help."